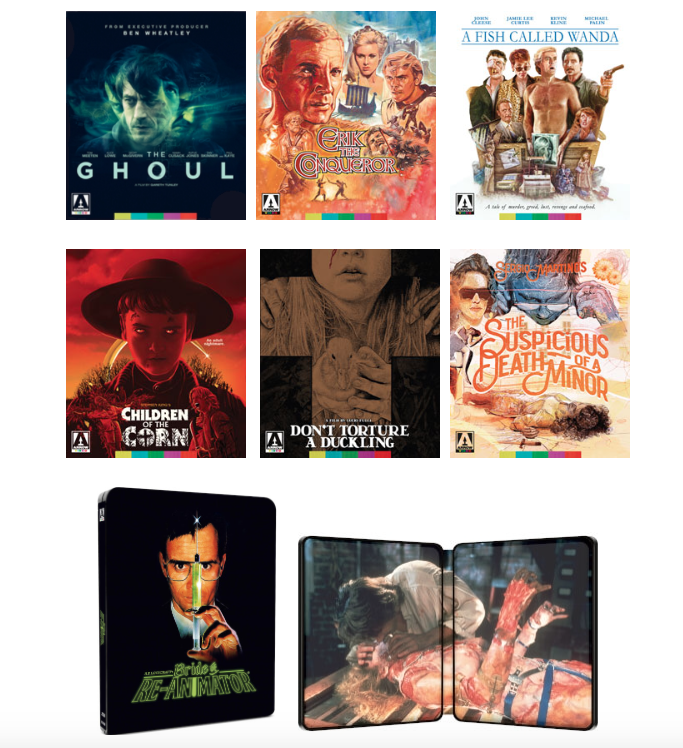 Official Release: September’s lineup from Arrow Video includes a unique Brit chiller, a Mario Bava masterpiece, an Oscar-winning British comedy classic, classic horror from Stephen King, a beautiful steel book, and two superb Italian thrillers,- in short, a veritable late summer feast for cineastes. 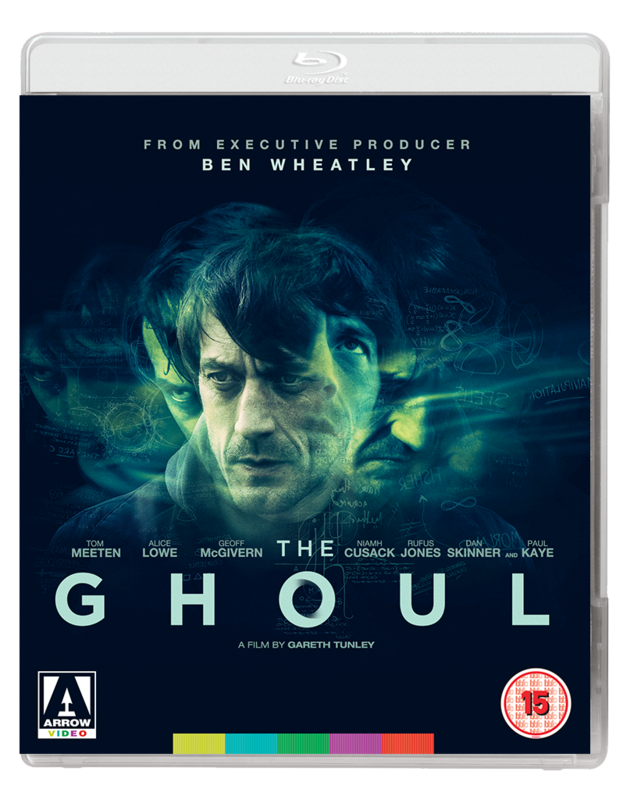 First up this month is The Ghoul, an outstanding debut from writer-director Gareth Tunley, from executive producer Ben Wheatley (Kill List, Free Fire), about a cop investigating a series of murders who finds himself drawn into the murky world of the occult. Starring Tom Meeten (Sightseers) and Alice Lowe (Prevenge), The Ghoul is a unique and nasty slice of British horror cinema. In 1961, director Mario Bava (Rabid Dogs, Kill Baby Kill) turned his hand to the historical adventure genre, capitalizing on the recent success of 1958’s Kirk Douglas vehicle The Vikings. 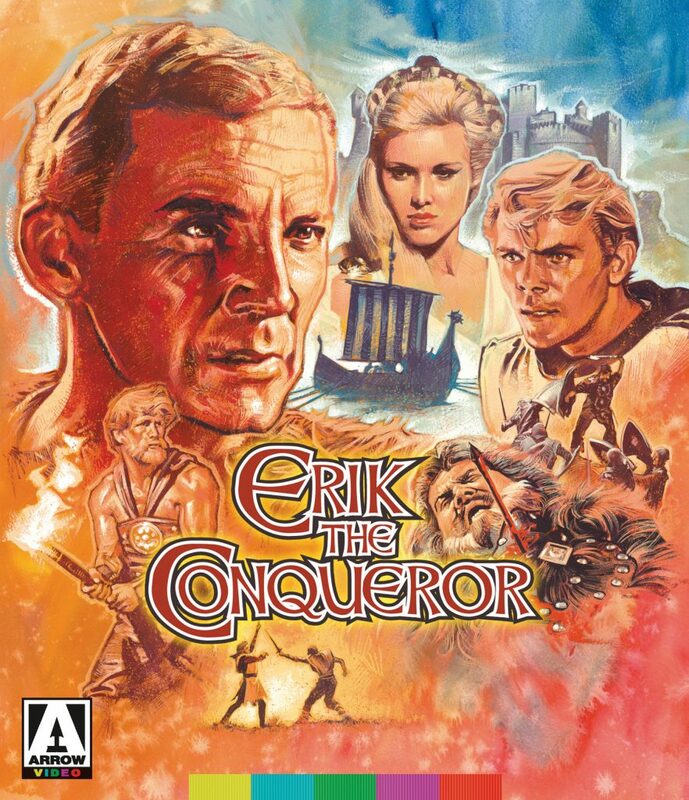 The result was a colorful, swashbuckling epic of treachery, heroism and forbidden love: Erik the Conqueror. 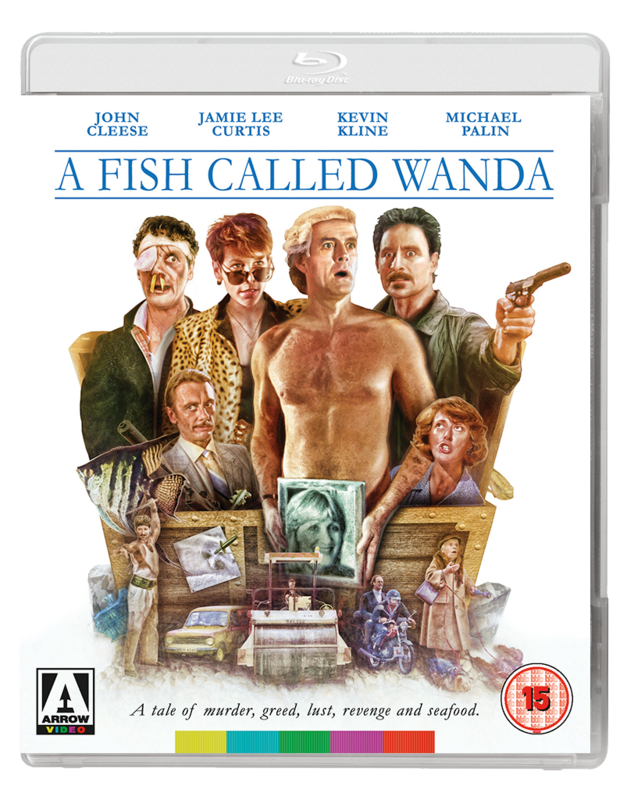 In mid-September is the Blu-ray release of A Fish Called Wanda, the hilarious and irresistible farce from 1988, starring John Cleese, Michael Palin, Jamie Lee Curtis and Kevin Kline. A box office smash, nominated for three Academy Awards (winning one for Kline’s outstanding supporting turn as the psychotic Otto), A Fish Called Wanda has stood the test of time and can be rightfully called a comedy classic. The success of Stuart Gordon’s hit horror-comedy Re-Animator meant that a sequel was all but inevitable. The resulting follow-up, Bride of Re-Animator – this time helmed by director Brian Yuzna (Society, Return of the Living Dead III) – would prove that there was a good deal more life (and death) left in the story of Dr Herbert West and his ghoulish exploits. With special effects master Screaming Mad George (the man behind the infamous “shunting” sequence of Society) on hand to contribute a host of characteristically weird and wonderful creations, Bride of Re-Animator is a more than worthy successor to Stuart Gordon’s original cult classic. Late-September sees the release of two superior Italian thrillers. First, deemed shocking at the time for its brutal violence, depiction of the Catholic Church and themes of child murder and paedophilia, Don’t Torture a Duckling is widely regarded today as Fulci’s greatest film, rivalling the best of his close rival Dario Argento. Arrow Video is proud to present this uniquely chilling film in its North American high definition debut. From Lucio Fulci, the godfather of gore (The Psychic, The Beyond), comes one of the most powerful and unsettling giallo thrillers ever produced. 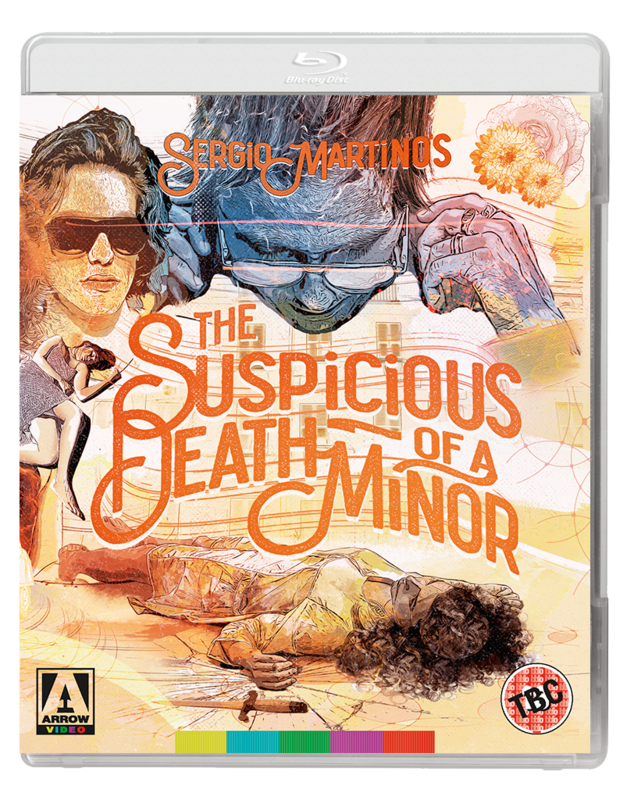 Second, the Dual Format debut of The Suspicious Death of a Minor, a 1975 giallo/’poliziotteschi‘ hybrid, from the great Sergio Martino (All the Colours of the Dark, Torso). With a cast that includes Mel Ferrer (Nightmare City), Barbara Magnolfi (Suspiria) and Jenny Tamburi (The Psychic), the lurid murder-mystery sees a cop on the trail of a Milanese criminal gang, and the Dual Format release includes a brand new 2K restoration of the film from the original camera negative, produced exclusively by Arrow Video. From executive producer Ben Wheatley (Kill List, Free Fire) comes a mind-bending British psychological thriller to sit alongside such classics of the genre as Nicolas Roeg and Donald Cammell’s Performance, David Lynch’s Lost Highway and Christopher Nolan’s Following. The debut feature of writer-director Gareth Tunley, starring Tom Meeten (Sightseers), Alice Lowe (Garth Marenghi’s Darkplace) and Dan Renton Skinner (Notes on Blindness), The Ghoul is the latest standout addition to a thriving new wave of British cinema. – In the Loop, a brand-new documentary on the conception and making of The Ghoul produced by Arrow Films exclusively for this release. Featuring interviews with Tunley, Meeten, Guttmann, actors Alice Lowe, Geoff McGivern, Niamh Cusack Rufus Jones and Dan Skinner, composer Waen Shepherd, and executive producers Dhiraj Mahey and Ben Wheatley. Featuring a bombastic score by frequent collaborator Roberto Nicolosi (Black Sunday) and memorably co-starring the stunning Kessler twins (Sodom and Gomorrah), Erik the Conqueror showcases Bava’s immense talent for creating awe-inspiring spectacle with limited resources. Now restored in high definition for the first time, Arrow Video is proud to present this cult classic in all its original splendor. Nominated for three Academy Awards and winning one for Kline’s outstanding supporting turn as the psychopathic Otto, A Fish Called Wanda has stood the test of time, earning its rightful place among its creators’ remarkable comedy pedigree. A young couple travelling cross-country find themselves stranded in the small town of Gatlin, where they meet a mysterious religious cult of children. 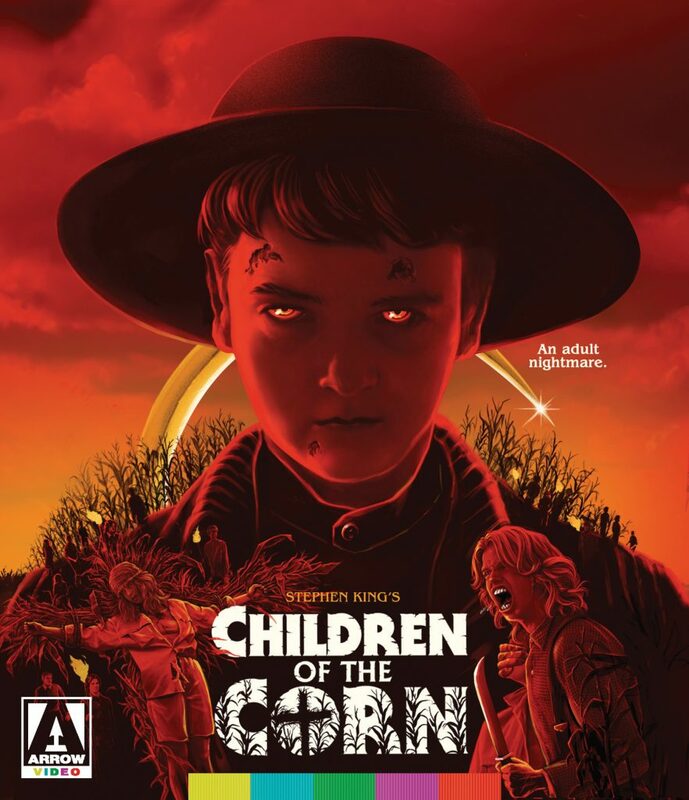 With no adults in sight the terror brews as the new arrivals find the secrets of the prospering corn fields and the children who inhabit them. Led by the mysterious Isaac and the unhinged Malachi the blood-curdling secrets of the children of Gatlin are soon revealed to their new ‘outlander’ guests. FIRST PRESSING: Collectors booklet featuring new writing in the film. The success of Stuart Gordon’s hit horror-comedy Re-Animator meant that a sequel was all but inevitable. The resulting follow-up, Bride of Re-Animator – this time helmed by director Brian Yuzna (Society, Return of the Living Dead III) – would prove that there was a good deal more life (and death) left in the story of Dr Herbert West and his ghoulish exploits. It has been eight months since the bloody massacre at Miskatonic Medical School. 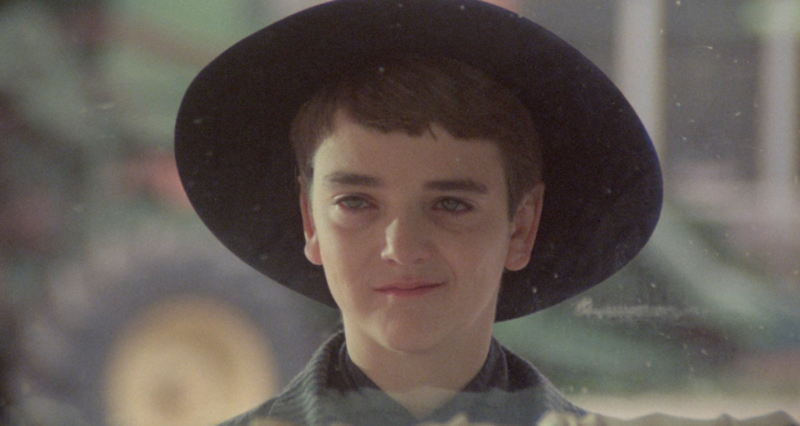 Unperturbed by the disastrous outcome of his previous meddling with the dead, Dr West (again played by Jeffrey Combs) continues his research into the phenomenon of re-animation; only this time, he plans to create life – starting with the heart of his young protégé Dan’s dearly deceased, Meg Halsey. Surely nothing could go wrong? With special effects master Screaming Mad George (the man behind the infamous “shunting” sequence of Society) on hand to contribute a host of characteristically weird and wonderful creations, Bride of Re-Animator is a more than worthy successor to Stuart Gordon’s original cult classic. 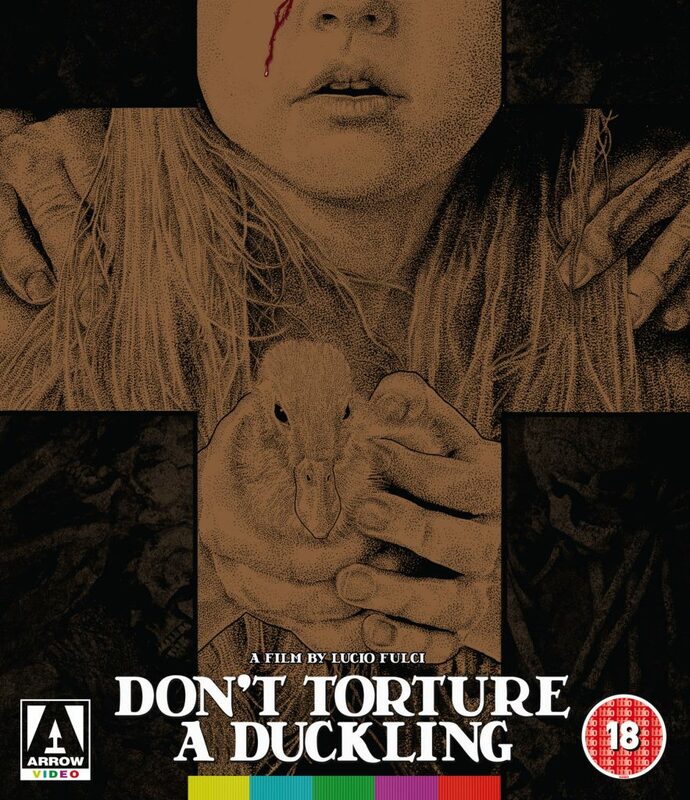 Deemed shocking at the time for its brutal violence, depiction of the Catholic Church and themes of child murder and paedophilia, Don’t Torture a Duckling is widely regarded today as Fulci’s greatest film, rivalling the best of his close rival Dario Argento. Arrow Video is proud to present this uniquely chilling film in its North American high definition debut. 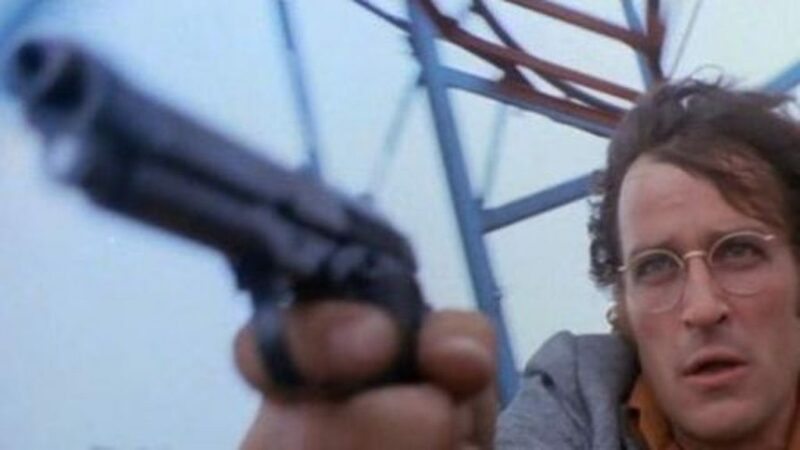 In the wake of the success of Dario Argento’s ground-breaking giallo The Bird with the Crystal Plumage, numerous other directors stepped forward to try their hand at these lurid murder-mysteries. At the forefront was Sergio Martino (The Strange Vice of Mrs. Wardh, Torso), whose sensual 70s thrillers starring Edwige Fenech and George Hilton are widely celebrated as some of the best the genre has to offer. Also starring Mel Ferrer (Nightmare City), Barbara Magnolfi (Suspiria) and Jenny Tamburi (The Psychic), and featuring a script by veteran giallo writer Ernesto Gastaldi (All the Colors of the Dark,Death Walks at Midnight), this unique and lesser-known entry in Martino’s filmography serves as an essential link between two different movements in Italian popular cinema. This entry was posted on Thursday, August 24th, 2017 at 1:06 pm	and is filed under Film, News. You can follow any responses to this entry through the RSS 2.0 feed. You can skip to the end and leave a response. Pinging is currently not allowed. « The Devil’s Candy Available In September from Scream Factory!! !